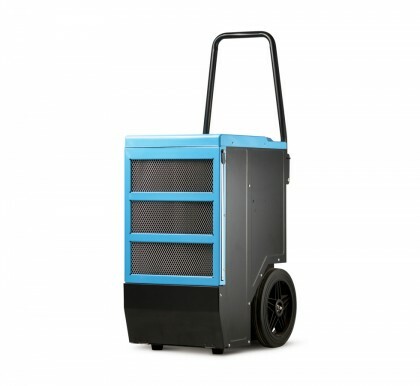 The DDH 70 Dehumidifier packs some serious punch and can remove up to 70 litres of moisture a day. This remarkably effective unit can remove up to 70 litres of moisture per day. Its light weight, stackable, space-saving design features an electrical control with auto-restart feature that also has an operating running hour counter for peace of mind. Built-in sensors monitor RH and temperature. The easy to remove housing means faster maintenance and it also comes with a front bracket for convenient storage.